This is a rectangular Asselins Ice Cream porcelain sign. 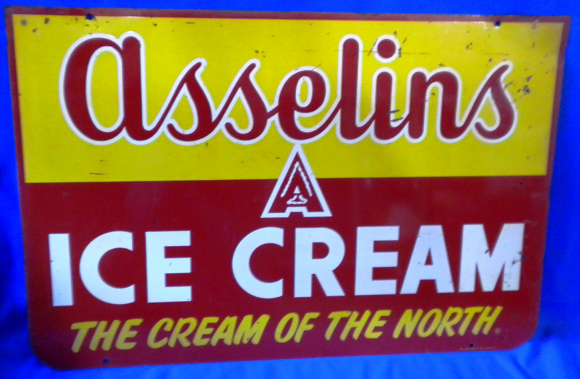 This particular Asselins Ice Cream sign is predominantly yellow and maroon with white highlights. It reads, “Asselins Ice Cream, The Cream of The North” and features a stylized “A” in the center.